Not Just Ltd is an independent company that offers Document Management Support Services to businesses within the M25 and home counties area. We pride ourselves on being one of the only complete document management solutions providers. Our strategic partnership with one of London’s largest document management solution providers gives our clients a complete managed solution for storing of their data and document storage. We aim to provide a competitive and transparent document management capability to meet all your document storage needs. Our pricing model is simple, transparent and eliminates any hidden charges. We will happily offer a price comparison with your current supplier. Once we have collected your documents they will be placed in our secure document storage facility on privately owned property. With our bespoke online portal you have instant access to view your documents in storage and request collections or deliveries at the touch of a button. With an always accessible service via our online management software and with barcoding technology, and advanced inventory management systems. Above all else we offer our customers security over time. The knowledge that the data and documents they entrust to us will be intact and available; today, tomorrow and in the future. Our strategic partnership with one of London’s largest document management solution providers gives our clients a complete managed solution for storing of their data and document storage. Our team understand and appreciate what matters to you the most, we are proud to be able to deliver value for money, reliability and quality document management and storage services along with proactive management support. Through our partnership, we have been storing and protecting customer’s data and documents since 1937. Our partnership provides you the best of both worlds by offering you access to competitive pricing, one single source for any service required and our outstanding customer service along with 24/7 state-of-the-art security, complete information management and ISO9001 quality management systems. We store a wide range of sensitive documents for a variety of clients, this includes; financial information, client files, medical records, legal documents such as wills and deeds, drawings both architectural and engineering and other sensitive commercial documentation. Ever since 1937, our partners have been storing and protecting information on behalf of their clients. Their standards and procedures have now been formally recognised by the International Organization of Standardization (ISO). 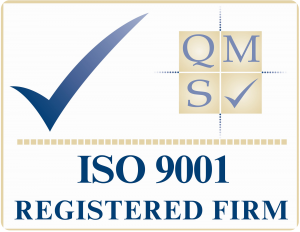 ISO 9001 is the most comprehensive level of certification, accepted by 90 countries around the world. It provides third-party assurance that we have the quality management to ensure all aspects of our document management service which we offer are consistently of the highest quality. Saving you money – Our service is cheaper than hiring a self-storage room. Complete managed service – All you have to do is request a collection or delivery. No searching – all your documents are barcoded. Documents delivered to your desk. No deposits and no lump sums upfront. No minimum invoice charge – only pay for what you use. Highly secure storage warehouses manned by fully vetted and experienced staff. Low cost and secure document shredding service. 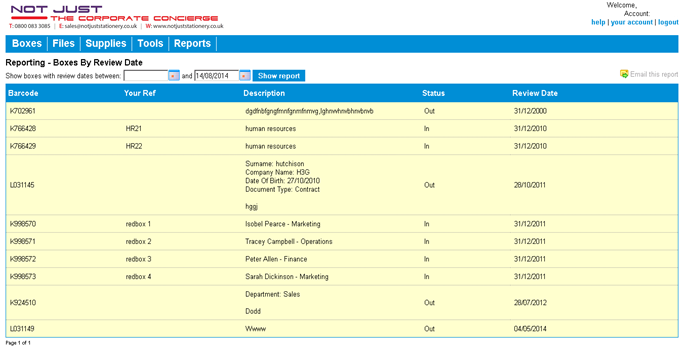 Free IT support and custom reporting. Storage areas from 15sq ft – 10,000sq ft.
All records are boxed, barcoded and tracked in our bespoke inventory system. You can track the lifecycle of all documents. Our pricing model is simple, transparent and eliminates any hidden charges. 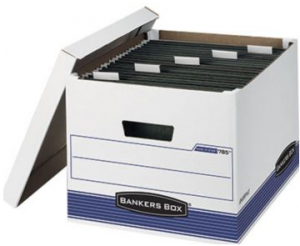 We will happily offer a price comparison with your current supplier to demonstrate how much you could save by switching to Not Just Ltd.
We offer pricing for document storage in cubic feet per box which is usually defined by 5 main box sizes, although we are able to store any size of box or document. Your documents will be stored in a purpose built storage facility designed to make optimum use of storage space and is it is this efficiency that allows our customers to benefit in the form of a highly cost-effective service. Our partners’ storage facility is located on the outskirts of Guildford, with direct links into Central London and fast M25 coverage. The purpose built facility and purpose built document management software system benefits our clients by offering them competitive rate for their storage, handling, delivery, collection and shared services. If you are with an existing supplier the initial collection of your storage will be free of charge. We will also log, barcode, inventorise and secure your documents. You can contact us or log in online to our document management portal and input your box details. Stick on to the box a pre-supplied barcode. Contact us or request a collection and one of our vetted and trained personnel will collect your documents the next day. You contact us or log in online to your document management portal and request your document and how you want it; (delivery or email). We locate your chosen document/s and send it to you right away by your chosen method. Using our unique archiving software for document storage services means that we can retrieve individual files and scan and email them to you, which in turn means you don’t need to request an entire box to find a particular file. With our bespoke online portal, you have instant access to view your documents in storage and request collections or deliveries at the touch of a button. Once you have logged in you will be notified of files and boxes that have been taken out of storage that has not been returned. You will be notified of files and boxes that have passed their review or destruction date. Once logged in you will be able to search files or boxes by a number of categories such as, by review date, by storage/start date, by box number, by department, by category, by date range, to name a few. With an always accessible service via our online management software and with barcoding technology, not only does every box receive a barcode, but every box is able to be inventorised by box number, department, name, file, category, archive date, destruction date and review date. To give near instant access, we are able to scan and electronically deliver files and documents on demand. Distance becomes no barrier and your original document remains in safe storage. Company documents such as board or committee meeting minutes, invoices, accident books, customer data and much more must, by law, be kept for years after their day-to-day usefulness has expired. With our barcoded tracking system that links into our own proprietary software, we keep tabs on each file’s exact location, optimal storage conditions and flag it for destruction once its shelf-life has expired. Some information and assets will need specialist care if they are to withstand the test of time. Perhaps some rare film footage has oxidised and needs restoring; ancient documents do better if they are not handled, which is why we recommend they are scanned if they are to be used by researchers, for example. These intensive specialist services are available and aim to prolong the life of these precious assets. After a document has been logged into storage, our systems flag it up as being ready for disposal at a set date bespoke to you. But that’s not where the paper trail ends, as we track that document all the way, in secure containers, to our shredding facility where it is destroyed, in confidence, and a certificate of destruction provided. Above all else, we offer our customers security over time. The knowledge that the data and documents they entrust to us will be intact and available; today, tomorrow and in the future. To offer security over time, our service must go far beyond simple storage. It means that we have become expert in information management – that we plan for all circumstances from fire to flood to malicious intrusion and have a culture of helpful efficiency that runs throughout the organisation. 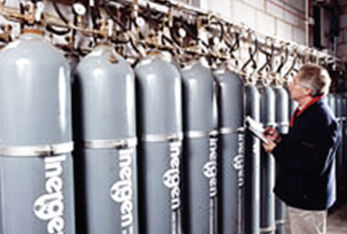 Our facilities have been designed specifically for long-term secure storage which is one of the reasons that we are so trusted by many Government bodies and blue chip organisations across a wide range of sectors, from legal and financial institutions to pharmaceutical manufacturers and medical professionals. 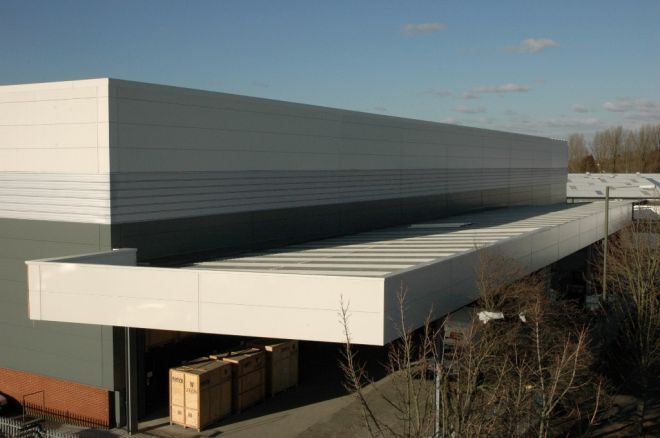 Our records storage facility is protected by perimeter fencing with stringent access controls, camera surveillance and both intruder and fire alarm systems connected directly to the emergency services, along with a supporting fire suppression system. We aim to offer the best records storage environment for your business. We take the security of all the documents we hold in trust very seriously indeed. All our staff are vetted by an independent external agency to BSIA standards – a process that is repeated throughout their employment. Cutting edge fire and intruder protection systems at our warehouse are designed specifically for the protection of materials in storage. These systems are constantly updated as new technology and techniques become available. If you are interested in receiving more information about our service, please contact us and we will come back to you shortly. Established in 2002, Not Just Ltd is an independent company that offers Document Management Support Services to businesses within the M25 and home counties area. Our pricing model is simple, transparent and eliminates any hidden charges. We will happily offer a price comparison with your current supplier to demonstrate how much you could save by switching to Not Just Ltd.